To continue with my series on Getting Started with the Internet of Things and Getting Hands-On with Internet of Things, I would like to show you how you can make use of IBM Bluemix in your IoT solutions. In my previous videos, I have shown you how to set-up a server on the Amazon cloud (AWS).Since I was creating a normal virtual machine, I was using their IaaS (Infrastructure-as-a-Service) offering. It takes some more work to set up and maintain, but gives you full control. Another alternative is to use Bluemix, which is IBM’s PaaS (Platform-as-a-Service) cloud offering. It means that you don’t manage the servers (you cannot even access them), but instead set up your applications directly. Bluemix is well suited for Internet of Things as it has a built-in MQTT broker and tools to visualize sensor data. It’s really easy to get started, and you get a 30-day free trial when you sign-up. Included in the trial are enough resources to run the examples that I show in the below videos (and more). The first video is about how you can publish sensor data to the MQTT broker in Bluemix. In the second video I show how to make use of sensor data published in Bluemix. 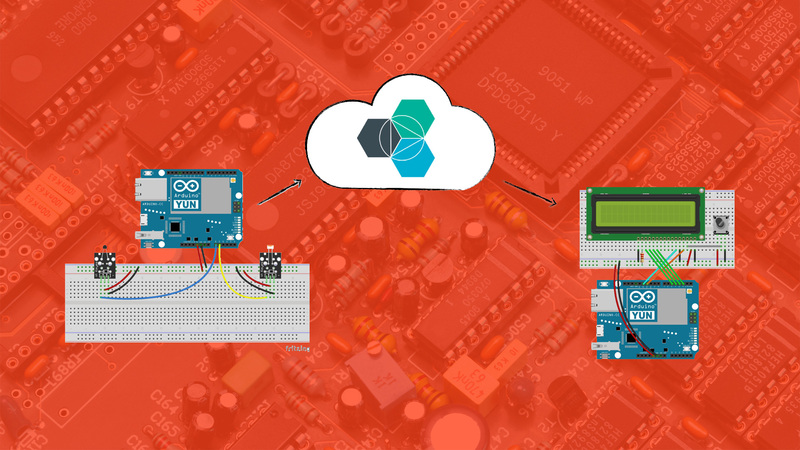 The third video is about how to control things from the MQTT broker in Bluemix. Have you used Internet of Things with IBM Bluemix yet? It’d be awesome to hear about it in the comments.